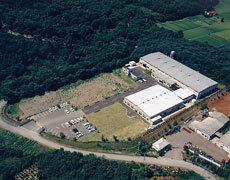 Since its foundation in 1906, Yamayo Measuring Tools Co.,Ltd. has been specializing in the manufacture of measuring devices and is further making progress in enhancing an excellent reputation for technical innovation and leadership needed in our own field. Today, Yamayo is one of the biggest and leading manufacturers in our own field in Japan and has been recognized to place the JIS Mark (grade 1st) on each of our products according to the Japanese Industrial Standard specification stipulated by the Government. With many years of accumulated experiences and high skilled labours, Yamayo is manufacturing a well designed products of high quality under strictly quality control. While high accuracy is required for measuring devices, our Shirakawa factory located in Fukushima Prefecture Japan, was undoubtedly designed and established for a good environment appropriate to the manufacture of high quality measuring tapes. Therefore, we recommend you the tapes manufactured by our up-to-date computerized printing machines. We dedicate to all over the world in fulfilling the needs of a marketplace accustomed to quality products and services as our slogan is "Measuring The World With Reliable Length"
Our target is "to become a Good Company" that is to satisfy all our customers and also to have all our staff feel fortunate to be a part of YAMAYO. The environment here is very dynamic and creative with a diverse customer base that encompasses a wide range of applications. We have a very bright future ahead of us with our continued growth.